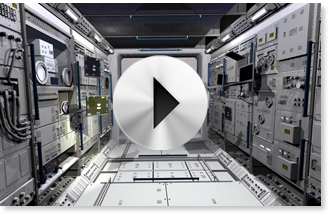 VEROSIM Solutions provides Virtual Testbeds for space applications. Highly complex systems can be put into demanding virtual environments to test the dynamic behavior including the control algorithms. 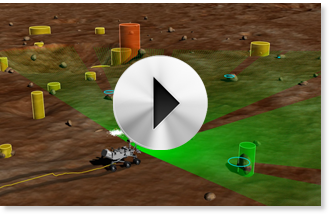 Our 3D space simulation creates scenarios ready for intuitive experiments. The result is a common integration platform which allows for the integration of systems starting with first single parts up to the entire system. Such a system can then be validated in user-defined scenarios. 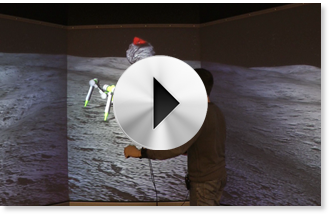 The mechanical design and the controller design of a walking robot for planetary explorations can be validated using 3D simulation in a Virtual Testbed. Such a Virtual Testbed offers space conditions for tests while still on earth. Did you ever want to take a look at the International Space Station (ISS)? Hover through the space laboratory Columbus and familiarize yourself with the instruments and experiments. Virtual Testbeds allow for the design, development, test, and verification of algorithms long before a robot starts its way into space. The video shows the verification of algorithms which process complex sensor data to achieve novel localization and navigation methods. Our applications for the space area are always tailored to the individual requirements of our customers. To get more information, please contact us.